St Michael & All Angels church stands at the centre of the village of Brinkworth in North Wiltshire, half way between the market towns of Wootton Bassett and Malmesbury. 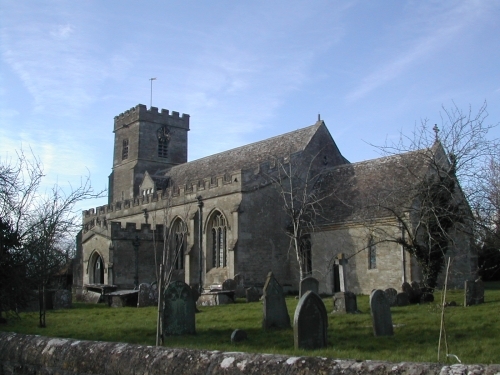 It was probably during Saxon times that the first church was built in Brinkworth, with remains thought to date from 1151 being discovered during one of the major re-constructions. The present church dates from around 1360 but this has evolved much over the years into the church that you see now. The church forms part of a thriving village community which includes a village school and pre-school, a village hall, a pub and more recently our very own weekly market held in the church each Wednesday. The services held at St Michael & All Angels are a mix of styles: Messy Church, our own People’s Service, and modern services of Communion and Morning Prayer. 4th Sunday 10.30am Woodbridge Group-wide service at different churches in the Group by rotation. 5th Sunday 9am Woodbridge Group-wide service at different churches in the Group by rotation. For the current service schedule, please click here.